Jewelry is a frequent device used by playwrights to set stages and Shakespeare was an enthusiastic user of them. But every age and culture assigns new meaning to jewelry. Jewelry has been universally valued as amulets, charms, fetishes, magical trinkets, or talismans. Modern day astrology techniques can advance our understanding of objects such as jewelry which symbiotically and synergistically join in shaping the character of human beings. We can now measure them qualitatively. 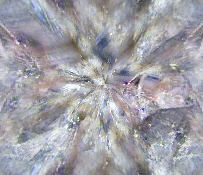 Computer technologies have made it easier to see the gestalt of juxtapositions between gem stone and human. A specialization called Astro*Carto*Graphy permits the isolation and assignment of specific values to a stone in relationship to a given human being. Astro*Carto*Graphy (henceforth known as A*C*G) identifies where a planet symbol denoting specific qualities of character (athleticism, communication, creative expression through the arts, leadership, nurture, philosophy, etc.) will best be expressed through Earth born objects. Guided by A*C*G, we can touch designated places throughout the Earth by acquiring the objects born of these places. This will permit an individual to focus upon, hone, and master the quintessence of specific qualities. Great treasures have always been part of lore. Kings and Queens wear jewel-encrusted crowns upon which the fates of their people rest both symbolically and materially. In the continuum of time and space of Earth, monarchs have expressed powers considered godlike by their subjects. They have commanded great armies, ruled vast lands, and spent ponderous wealth even into modern times. The British Royal family is but one example. The jewels they wear correspond to the common descriptions of power just mentioned. But how far can we take their meaning? Close inspection of a monarch’s prized jewel through A*C*G gives a transcendent perspective. 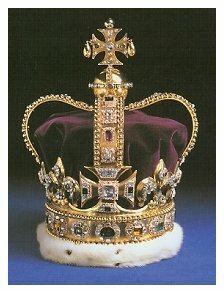 The British Crown Jewels have a mixed history of benefits. Some people think them cursed. Many of them are of known origin and history suitable for our astrological focus. We know where they were found, when they were found, and whose reputation (fame and fortune) was tied to them. The women of the British Royalty have had a particularly curious relationship with great jewels. 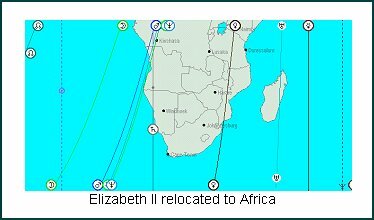 Going back three generations, from Elizabeth II, Elizabeth the Queen Mother, to Victoria we find them all with remarkable juxtapositions to the same jewels and to their places of origin around 81° East in India and 25° South in Africa. These women’s A*C*G lines connect to Africa and India, sources of their great jewels, the symbols of their Earthly power. The birth times of English Royalty are well established. Queen Victoria was born in Kensington Palace, London, England on May 24, 1819 at 04:15am (Lois Rodden). Queen Elizabeth Angela Marguerite Bowes-Lyon, affectionately known as “Queen Mother”, was born in London on August 4, 1900 at 12:30am. Her Daughter, Queen Elizabeth II, was born in London on April 21, 1926 at 02:40am (Lois Rodden). This is good news for the Astro*Carto*Grapher looking for a baseline to establish major and minor (paran - crossing) lines running through India and South Africa where the most famous and infamous of the Crown Jewels originated. Enter Victoria, our first Queen, with her Venus Midheaven (80° E 34’) running through the major Diamond Mines of ancient India. Pay particular attention to the 80° east connection as this analysis proceeds. Queen Victoria became Empress of India in 1877, and had major Mars, Venus, and the North Node lines, all on the Midheaven, passing through India. Perhaps more than any other colonial possession, India represented Empire for England. India meant riches for England. Astrologically Venus corresponds with precious objects of value, great wealth. Traders, particularly the East India Company, played the key role in England’s extraction of mountains of wealth from India. Astrologically, particularly Astro*Carto*Graphy® wise, it makes sense that this Empress would have a Venus Midheaven through India. Victoria’s natal Venus (what, where, and how she attracted to, desired, and pursued) was directly overhead of the origin site of the Koh-I-Noor at 80° E 33’. There was general fear that the Queen’s infamous stone was cursed. It has long been held that male owners of the Koh-I-Noor would suffer misfortune, while women who held it would rule the world. Eventually, in 1853, the great jewel was set into a tiara for her to wear on her person. By then, her progressed Venus had recently crossed her natal Ascendant at 5? Gemini 58’. Legend had it that the possessor of the Koh-I-Noor ruled the world. Over one hundred years later, in 1976, Prime Minister Ali Bhutto of Pakistan requested the return of the Koh-I-Noor. Ownership of the Koh-I-Noor has been disputed to this day with claims also coming from India, Iran, and the Taliban in Afghanistan during Queen Elizabeth II’s reign. The Koh-I-Noor ~ “Mountain of Light” (108.93 carats) is believed to be from an Eastern Deccan Plateau mine in ancient India. This great jewel was set in the crown of the Queen Mother in 1936, for her coronation date May 12, 1937. The Queen Mother had her A*C*G Moon IC (14° Scorpio 46’) line running through the environments (82? E) of the most famous ancient India mines historically thought to produce large diamonds. 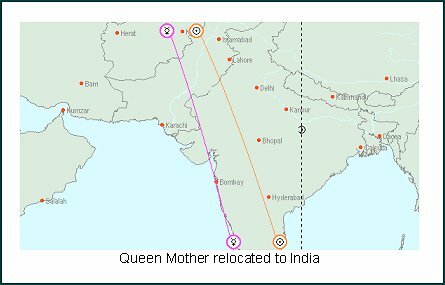 Here we have a second Queen with birth moment affinity to the origin place of the Koh-I-Noor. The Queen Mother’s Moon was inconjunct to her natal Pluto (17° Gemini 21’), which was in turn closely conjunct her birth ascendant at 22° Gemini 28’. 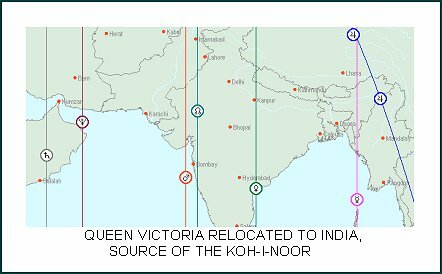 The only other probable origin site of the Koh-I-Noor was the Gujarat region of India, northwest of where present day Bombay is located. Here the Queen Mother had both Sun and Mercury rising through the region. Since the Queen Mother had Gemini Rising in her birth moment Mercury in her birth chart ruled her Ascendant. Therefore, The Koh-I-Noor was either a Moon, or Sun/Mercury line ~ all connected to her all-important ascendant angle. 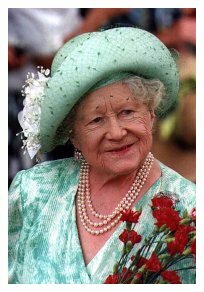 The Queen Mother lived to be 101 years of age and ruled over a British Commonwealth of Nations circling the world. The crown, containing the Koh-I-Noor (symbol of her reign), was placed atop her coffin during her state funeral on April 7, 2002. Queen Elizabeth II is the latest Queen to wear the Koh-I-Noor. 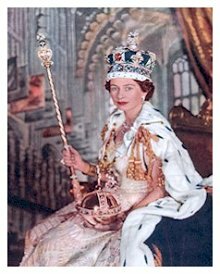 Queen Elizabeth II’s coronation occurred on June 2, 1953 in Westminster Abbey. On that date, she had progressed Moon in Leo (9° LEO 33’) approaching her natal Moon position at 12° LEO 07’. Her Progressed Sun (26° TAURUS 29’) was within one degree of having crossed her birth chart IC/Nadir (25° TAURUS 35’). 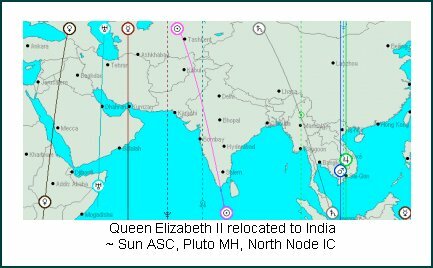 A*C*G wise, Queen Elizabeth II had her Moon on the IC (81° E 37’) running through the Eastern Ghats of the Deccan Plateau of India. It ran the exact corridor, as did the Moon IC of her forbearer, the Queen Mother and the Venus Midheaven of Queen Victoria. Elizabeth II’s Moon in Leo is semi-sextile natal Pluto (12° CANCER 42’). Here we have our third Queen (the Moon points at ancestry and inheritance) with a significant horoscope connection to the believed origin site of the Koh-I-Noor around 80° East longitude. 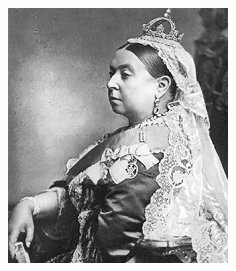 Queen Victoria passed on her power. 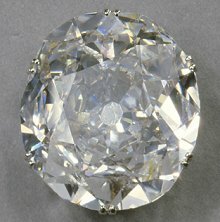 Next in importance amongst the Crown Jewels for Queen Elizabeth II is The Great Star of Africa, or Cullinan I (530.2 carat), one of the largest stones cut from the Cullinan, the largest diamond ever found at 3,106 carats. The pear shaped Great Star of Africa is set in the Sovereign’s Scepter, part of the regalia worn and now carried by Queen Elizabeth II during her ceremonial duties. Queen Elizabeth II is also long lived, turning 79 years of age in 2005. The massive Cullinan Diamond was found in 1905 in the rich Premier Mine fields of South Africa around 25?-26° S. This great African mother stone was cut into nine stones. They are named Cullinan I, Cullinan II, or the Second Star of Africa (317 carats), and so forth. One of them VII or VIII became the Queen’s favorite broach and is her constant companion. Cullinan IX is set in a ring, which she owns. The Cullinan was found at the Premier Mine near Pretoria (about 25° S 45’). It was broken into 9 priceless stones. She has 5 Moon, or Pluto Parans crossing between 20° and 34° South. The Second Star of Africa is mounted in the front of the Imperial State Crown now worn by Queen Elizabeth II. She has presided over the transformation of England from Victoria’s Empire to Commonwealth. She still remains one of the world’s wealthiest women, she retains great power and prestige over events, and the great Talisman diamonds of India and South Africa still adorn and energize her stages as Queen of The English Commonwealth.